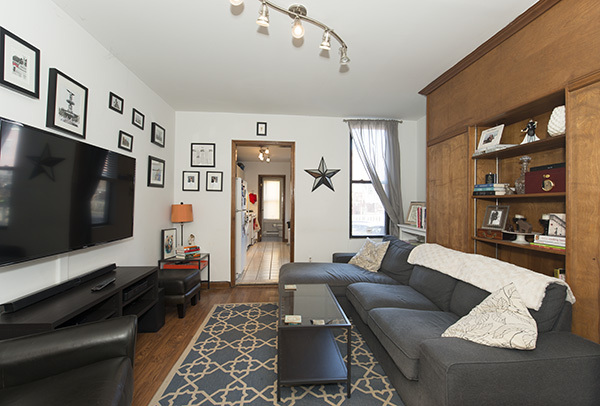 Great for the first time buyer or investor, this 1 bedroom plus den railroad style apartment features good sized rooms, hardwood floors throughout, and tons of windows for great natural light. The second room can be used as an office or nursery. Access to common yard with patio. Convenient downtown location, close to Light Rail or just a short walk to the PATH and 1st Street shopping and dining.